So, I went to the movies Thursday night. This might not be a big deal to most, but it is a rare occasion for me. I almost never go to the theaters. I could count on three fingers how many times I went to the movies in 2015 (though I have actually gone to the movies twice so far this year). I have a reasonably nice home theater setup and the price of Blu Ray discs is less than the price of tickets for my wife and I to go to the cinema. I don’t find the theatre offers a better experience than at home and I can pause the movie at home for bathroom and snack breaks. Plus, the turn around from theatres to home for films is so quick now, I don’t feel I’m waiting at all. However, I really wanted to see Deadpool. I’ve never read the comics but the Deadpool video game was one of the funniest games I’ve ever played. I finally caved and bought tickets because of all the great press the movie was getting and Super Arppis poking me to go. I loved the movie, though I think the game was far more humorous. Ryan Reynolds was excellent as Deadpool, but never quite hit that level of insanity that Nolan North achieves in the game. Certainly worth seeing, though for me, I’m never sure if the theater experience is really worth it. We did get D-Box seating for Deadpool, which is something I’ve never experienced before. For those that don’t know, D-Box seats move around and vibrate with the action on screen. I don’t know that this is a “must have” feature for movies, but it was fairly enjoyable. The heftier price for the D-Box tickets might not justify having the motion feature, but having your own set of armrests all to yourself is pretty damn sweet. No Drunken Fatty McSmellypants leaning all over you during the film. It was definitely a nice way to see a movie. I’d really like to have one of the home theatre D-Box seats, though I’d rather see it for game support than for movies. I guess it will all come with time, maybe married to VR. Right now home D-Box seats are way too expensive for me to even dream about. 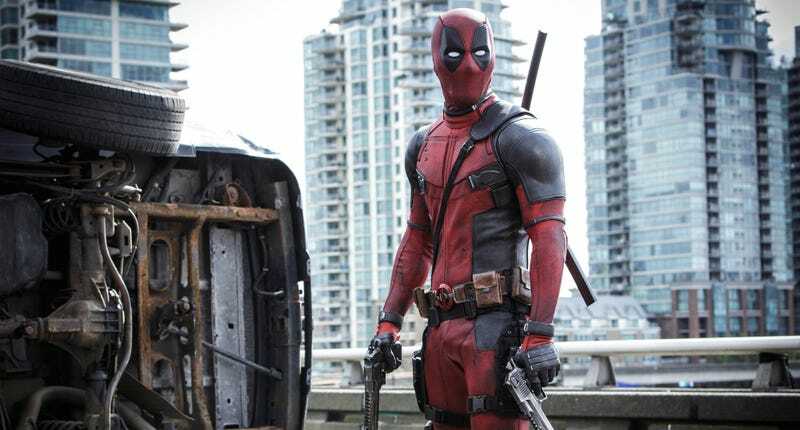 I’d highly recommend Deadpool if you are thinking of heading to the theaters this weekend. Both my wife and I had a great time with it. Last week seemed to disappear rather quickly, and I had little time for gaming. What time I did find was spent with The Witcher. I’m still flabbergasted how much The Witcher is keeping me interested. I’ve been dealing with the same characters and rehashing areas over and over, but it is this sense of familiarity that seems to be a plus here. I feel like I am becoming part of the community in the game and that I am really changing the lives of the characters. This is of course more a trick of the stellar writing, but it has been an extremely long time (maybe since Lunar on Sega CD) that an RPG has captured my attention so much. My wife and I also managed to get a little more in on Life Is Strange during the week. We’ve started chapter 3 and I must admit to being a little tired of the game design. The whole rewinding time isn’t used as cleverly as I think it could be and lots of the game’s logic around the rewinding of time is often flawed or not used in a way that I would choose to use it. The writing is still strong and I like the characters, but I’m definitely not as blown away as I expected to be. Perhaps it is still a case of being overhyped before I played it, but the actual “game” parts of the experience are a little dull. Other than that, the only other thing I really played last week was more Terraria with my buddy on Twitch. It is a neat game, but I seriously can’t see sinking a lot more time into it on PC. I think I’ve just played too much Minecraft to play another game with so much digging. I also already have a bad case of inventory overload in Terraria; this really isn’t the game for someone who hates dealing with inventories. It is neat though, I might investigate it for my phone. It might make more sense there for me in bite sized chunks of playtime. I’m hoping this weekend will have lots of time for Rock Band 4 with the family. We’ve finally got the calibration in a good place and had lots of fun with it during the week. Other than that, it will be all Witcher all the time.